The Eventide H9 Core Harmonizer Effects Processer is an affordable H9 effects pedal, which can be customised by purchasing the effect algorithms you want from Eventide. The H9 Core contains only 1 algorithm, allowing you to incorporate your own your plugins for optimal versatility. It is perfect for a musician who wants to use and purchase the effects that only they want. The H9 core comes preloaded with 25 presets from the original H910/H949 Harmonizers, allowing you to experiment with the different effects. Customise the pedal the way you want by adding additional effects that can be purchased via the H9 Control app. 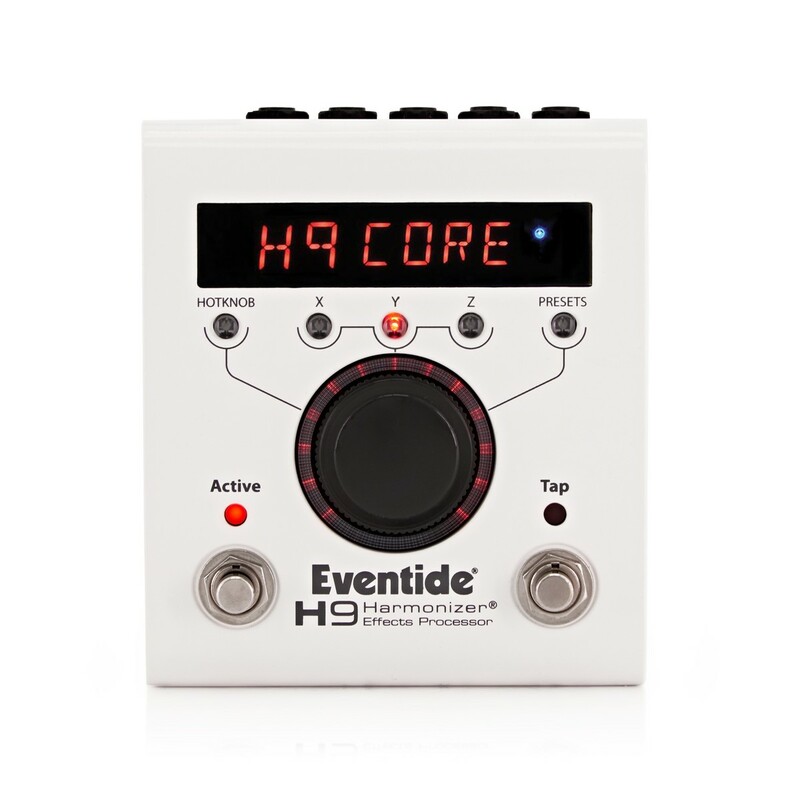 The H9 Core Harmonizer has been developed to offer musicians a pedal that allows them to add only the effects that they want and need. This allows you to store and use your favourite effects from a single, versatile pedal. 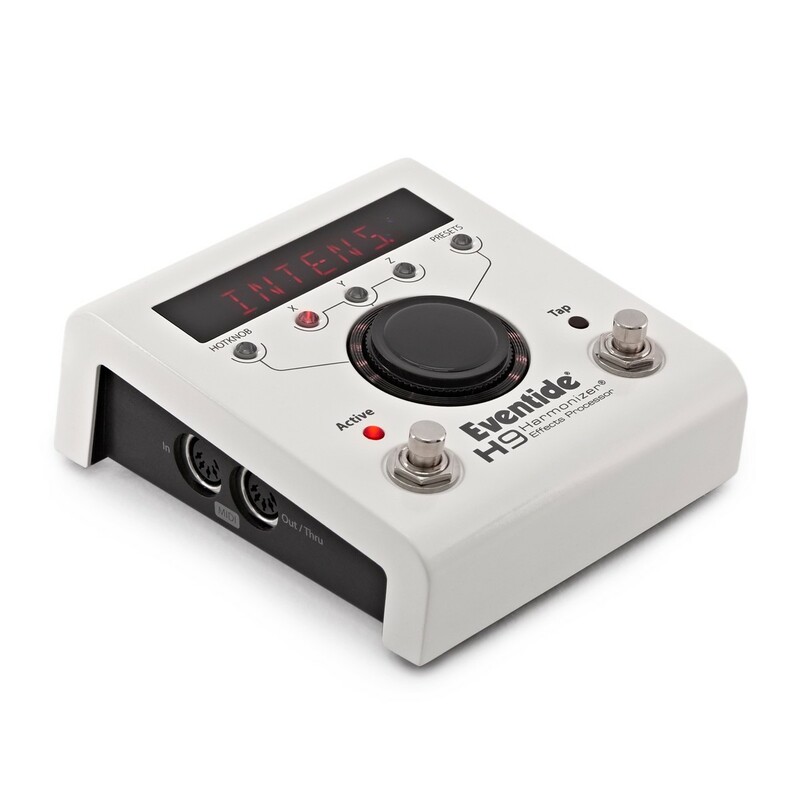 It is ideal for the working and travelling guitar player, allowing you to keep all your favourite effects within one portable, compact device, whilst still having the opportunity to add additional effects whenever you please. Use the free app (H9 Control) to edit, manage and purchase more presets. The hardware itself is identical to the original H9, whereas this pedal differs is the bundled algorithms. This pedal saves you the extra money, which can be used instead to purchase your own choice of algorithms from Eventide. 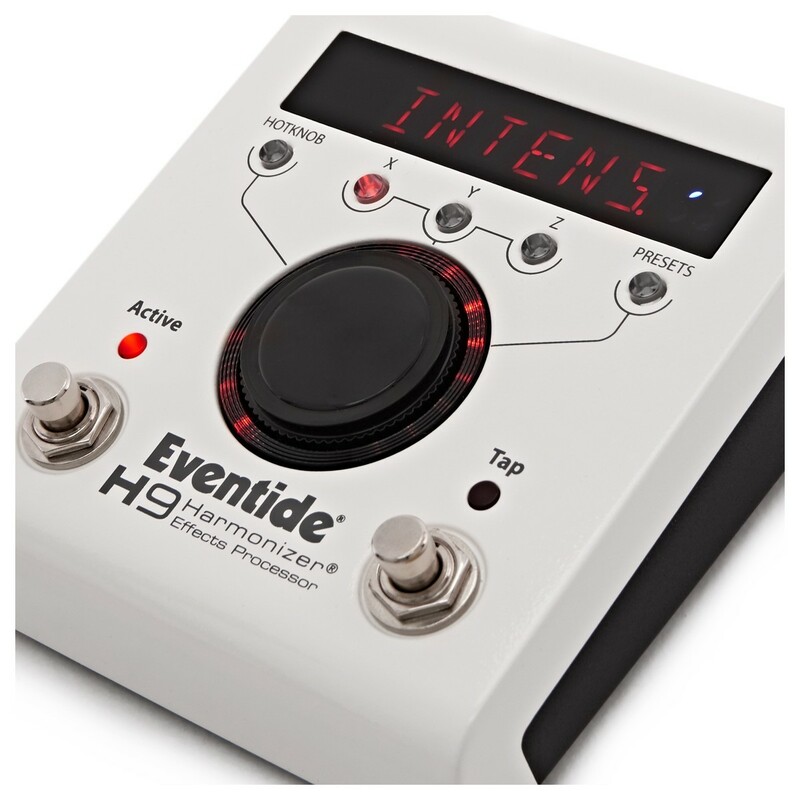 The H9 Core Harmonizer features a simple, one-knob user interface for easy operation. This allows for easy effect editing and preset browsing/selection. 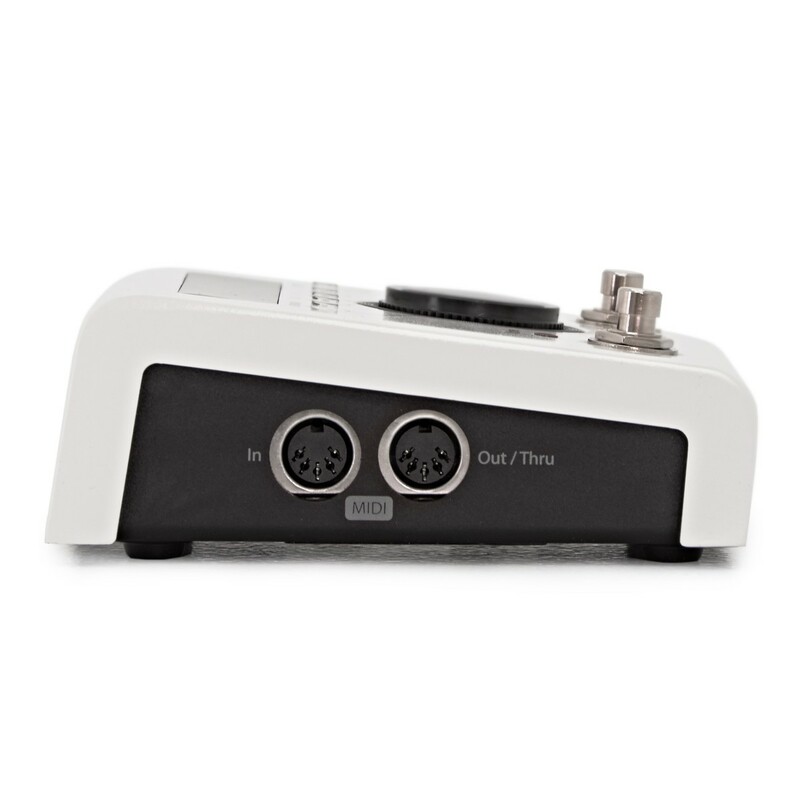 The 2 on-board switches are used to switch between presets, tap tempo, and bypass with your feet during a live performance. 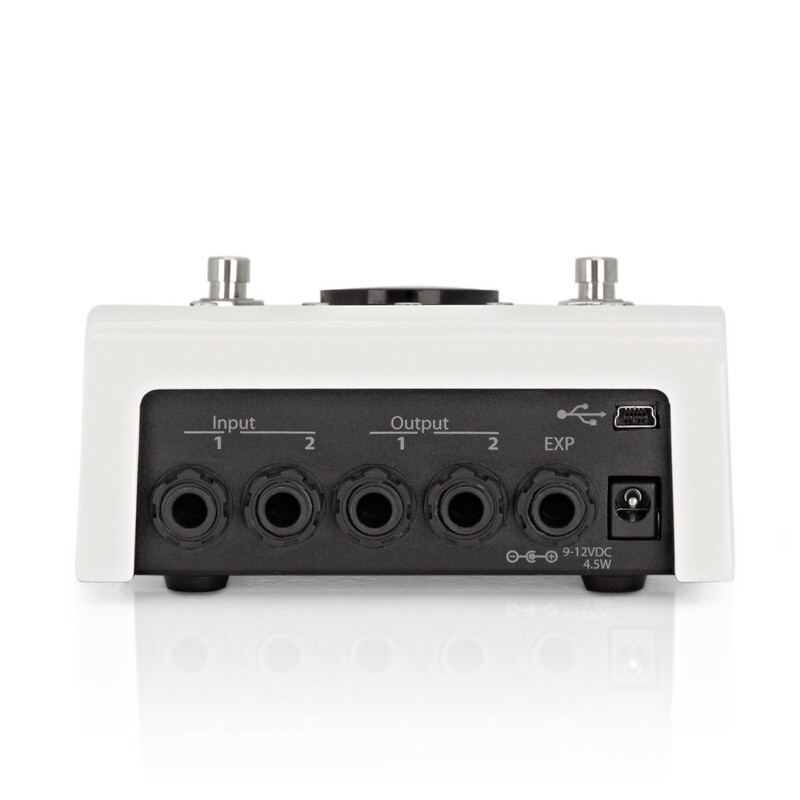 The H9 Core offers stereo I/O and full MIDI compatibility. While the H9 Core is fully controllable via its front panel, a free iOS app (H9 Control) can be download to the iPhone and iPad for editing, creating and managing presets.